For anyone looking to hire an auto locksmith in the Stockton area, turn to San Joaquin County’s favorite locksmith: The Key Guy Mobile Locksmith. The Key Guy Mobile Locksmith has over ten years of experience working with home and auto locks, and The Key Guy Mobile Locksmith’s master locksmiths can assist you with any lock or key issue you are having. The Key Guy Mobile Locksmith promises a superior service experience for each customer. Just give us a call whenever you are experiencing a lock or key issue, and we will work to find a solution that is affordable, effective, and quick. When you have a problem, we have a problem, and we promise to work hard to make sure a solution is found as quickly as possible. It is our goal to provide an unbeatable customer service experience to each of our clients. We want to do everything we can to make sure you are happy with the results and confident in the security of your home or vehicle. 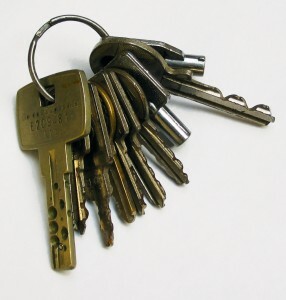 Each Key Guy lock smith is certified and thoroughly vetted to ensure that they have the skills and knowledge necessary to assist all of our clients. You can feel confident that the locksmith that arrives at your home completely understands their job and will be able to provide a fast and cost-effective solution for any security issue that arises with your home, business, or vehicle. Whenever you find yourself in need of a master locksmith at your residence, call The Key Guy Mobile Locksmith for reliable, affordable, and ethical locksmith services. If you need convincing, just check out some of our reviews! We leave our customers satisfied. The Key Guy mobile locksmith is owned by an outstanding certified locksmith. The company is insured and bonded, which is something that you should look for no matter who you end up hiring for the job. The labor can be done where you are located in an instant. Our mobile locksmiths will come to you and provide you with the services that you need. Your locksmith will be able to service any type of locking hardware including locks for a private home, a vehicle, or a commercial building. The Key Guy offers a fast service at a time when you need it most. When you need help, don’t stress. Just call The Key Guy Mobile Locksmith.